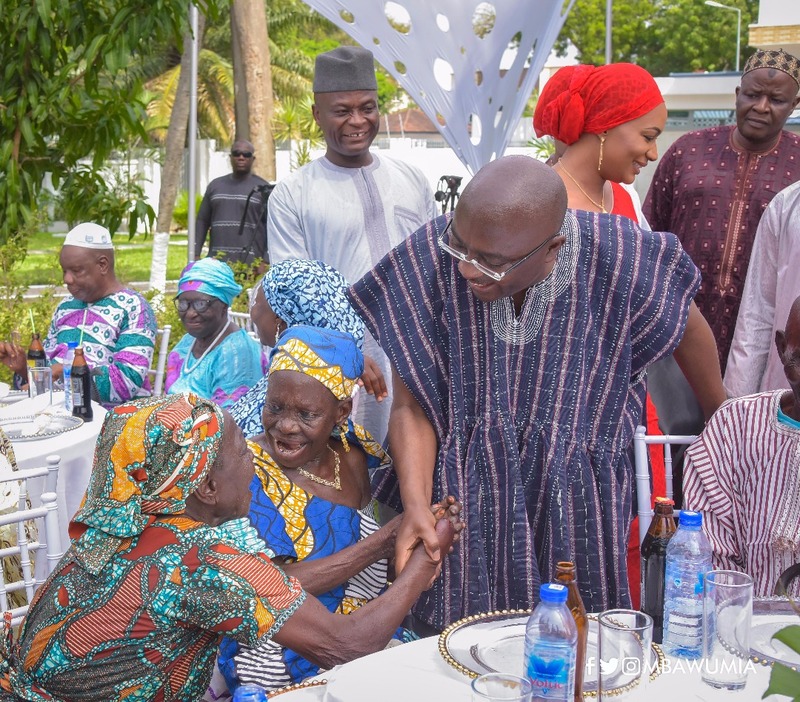 Christmas came early for members of the Cured Lepers Federation when the Vice President of the Republic, Dr Mahamudu Bawumia, hosted them at his home on Sunday 9th December, 2018. 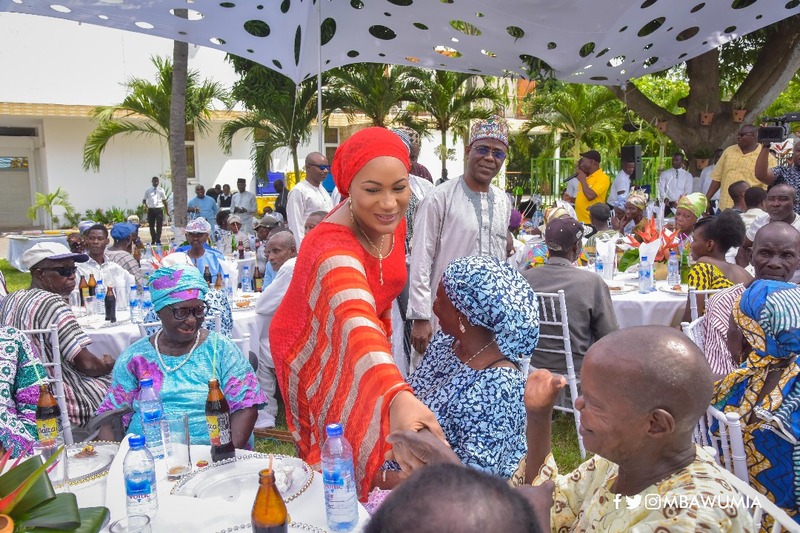 Assisted by the 2nd Lady, Hajia Samira Bawumia, the Vice President, who is also a Patron of the Lepers Aid Ghana, danced, sang and served food to the over 100 cured lepers, drawn from the Weija, Ho and Ankaful Leprosariums, in his ongoing quest to dispel the stigma suffered by victims of the debilitating disease. “The Bible and every other religious doctrine teaches us to love thy neighbour as thy self. We need to let this reflect in our daily lives, especially in the way we treat our vulnerable brothers and sisters. You can never tell when you will be struck by ill health, and if you don’t want to be abandoned in your time of need, this is the time to help those in need”, he underscored. 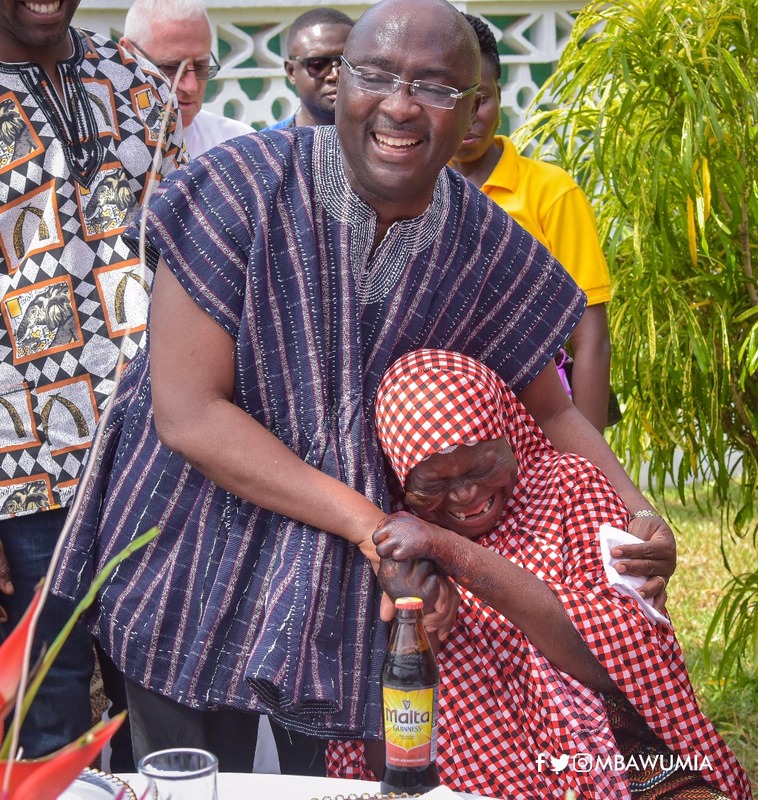 Recalling his visit to the Weija Leprosarium at Christmas time last year, during which he offered himself as a Patron of the Lepers Aid Ghana, Vice President Bawumia called for greater societal integration for all sections of society, pointing out that everyone has a role to play in national development. While expressing his appreciation to the Vice President for the “enormous help you continue to provide,” Rev Fr Campbell appealed for the inclusion of lepers in the Livelihood Empowerment Against Poverty Programme (LEAP) in order to guarantee a regular meal and support for the inmates of the leprosariums. 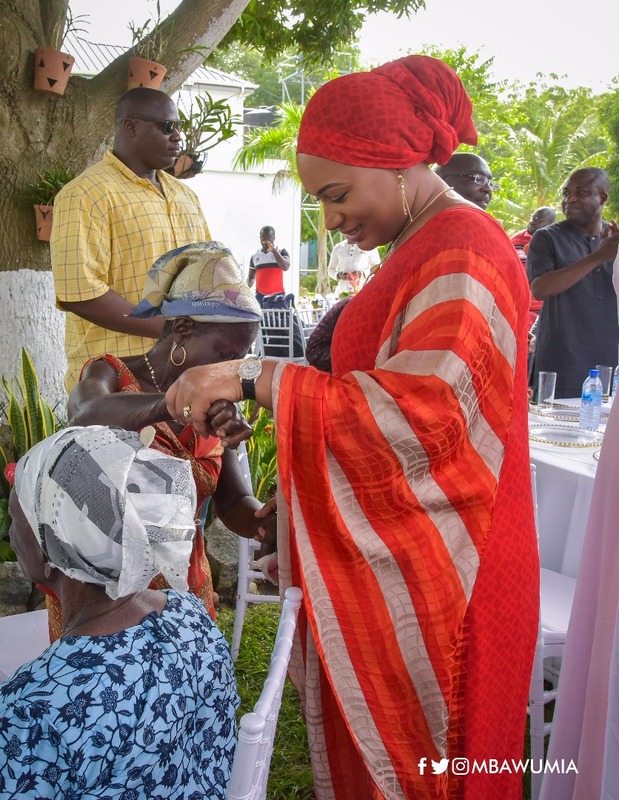 The Minister for Gender, Children and Social Protection, Hon Mrs Cynthia Morrison, who was accompanied by her deputy, Hon Mrs Gifty Twum Ampofo, assured of greater governmental support for the vulnerable, especially lepers. Also present at the event were Hon Joseph Osei Owusu, MP for Bekwai and 1st Deputy Speaker of Parliament; Dr Anthony Nsiah Asare, Director General of the Ghana Health Service; Hon Dr Kwabena Twum-Nuamah, MP for Berekum West and Chairman of the Parliamentary Select Committee on Health; Hon Dr Bernard Okoe Boye, MP for Ledzokuku and Board Chairman of the Korle Bu Teaching Hospital; Pharm Audu Rauf (PhD), Registrar of the Pharmacy Council; and Ms Naa Torshie Addo, Administrator of the District Assembly Common Fund, who is also a very strong advocate for lepers in Ghana.